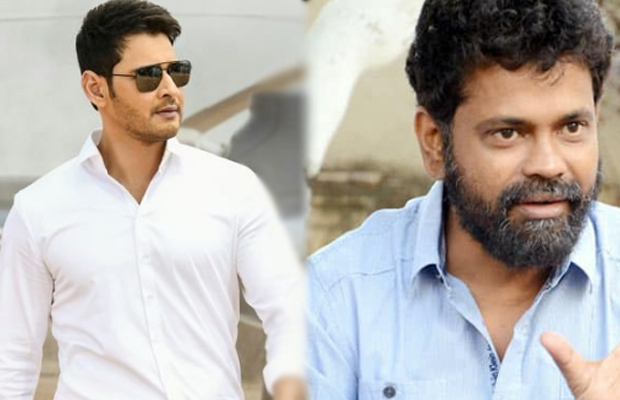 Home » Telugu » News » Mahesh Babu and Rangasthalam director Sukumar to team up again? Mahesh Babu and Rangasthalam director Sukumar to team up again? The report also suggests that Sukumar’s next with Mahesh Babu would be an intense film like Rangasthalam. While Mahesh Babu is awaiting the release of his upcoming political drama Bharat Ane Nenu, in the other news, it is said that the superstar is planning to team up with director Sukumar for a film. Mahesh Babu and Sukumar, who have already worked together in the film 1: Nenokkadine, are planning to team up for the second time. According to a report in TOI, the two are currently in talks over an interesting storyline. However, they are yet to come to the decision over the same. Mahesh Babu is quite impressed with the director’s work in Rangasthalam, which has minted huge numbers at the Box Office. The report also suggests that Sukumar’s next with Mahesh Babu would be an intense film like Rangasthalam. It would be more of a surprise to the audience. Well, let’s wait for the official confirmation over the same. Meanwhile, Talking about Mahesh Babu’s upcoming release, Bharat Ane Nenu will see Mahesh Babu playing the role of a Chief Minister in the film. The film will also mark Telugu debut of actress Kiara Advani. Bharat Ane Nenu also stars Tamil actor Sarath Kumar, who will be seen as Mahesh’s father in the film. Although Sarath has starred in a few Telugu films earlier, this is said to be the huge film of his career. Ahead of the release of his upcoming film Bharat Ane Nenu, Mahesh Babu is spending some good time with his family in Paris. The superstar is currently in Paris with wife Namrata Shirodkar and kids Gautham and Sitara. It is the much-needed break for Mahesh Babu, who had been shooting for continues two months. The superstar is expected to return on April 17 for the promotions of Bharat Ane Nenu, which is releasing on April 20.